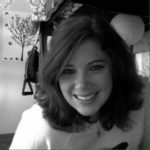 Don’t worry, we all have this thought and are excited for what that entails, however, life is very different off-campus opposed to on-campus and there are definitely a few things you need to consider when making that decision. This is huge honestly. Though you are stoked to be living on your own with the ability to have get togethers whenever you want to, there is a pretty large price tag to come along with that. Living off-campus you need to consider what your rent will be, how much your bills are going to cost, whether your apartment comes furnished or not, how much your groceries will be each week, etc. Sometimes, the cost of living off-campus exceeds the cost of living on-campus. Be sure you consider all of these expenses first before moving. Are you living with roommates or by yourself? It can be tempting to live by yourself, but that experience should be saved for when you are finished with school. Living with roommates will probably be your best bet, as long as you pick and choose them wisely. It takes a certain human(s) to be a good roommate to share the expenses properly, understand your weird habits, and do their fair share of the cleaning. There wasn’t a need to worry about those things when living in the dorms, but outside of them, it is a whole new world. How are you going to get to campus? Commuting is something that we sometimes forget when moving off-campus. How are you going to get to class when you move off-campus? Hopefully, you find a place with good rent at a good size that is close enough to campus for you to walk or bike, but if not, you definitely need to think about the cost it will be for you to get a parking pass for your car or what the bus schedule is and the route it takes to get to campus. These can really be deal breakers depending on the location of the apartment/house you’re looking at. If you move off-campus, there can be some changes in your renters insurance coverage. The premium price might change, your landlord could want you to get higher limits, you have more stuff to cover so you might want to get higher limits anyway, etc. Regardless of your living situation if it is on-campus or off-campus, renters insurance is a must, but definitely for off-campus housing. You don’t want to be stuck with having to replace a bunch of stuff on your own if you come home from class one day to see that you were robbed and all of your stuff missing. 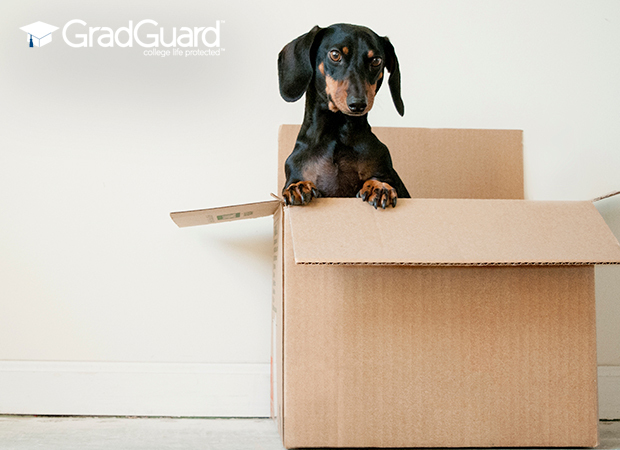 GradGuard offers renters insurance to students living off-campus as well as on-campus! You still get all the benefits like low deductibles and worldwide personal property coverage, so don’t forget to update your address or purchase a new policy when moving. We hope this has helped you with your decision making! Remember that college is the time of your life and living off-campus is a great experience, just be sure you are prepared for it.